Data-driven decision making (D3M) involves listening to what the Six Sigma folks call the “voice of the process”, or paying attention to the actual data that emerges from your day-to-day execution of business processes. It means bringing the objective, measurable outcomes of your performance into the middle of your decision making so it can inform, guide and shape your decisions. For many of us, this involves a significant change in business culture. Traditionally, we have made decisions based primarily on our experience and the sharpened intuition that experience provides. Shifting to a D3M approach involves putting data ahead of intuition and experience. The latter are still crucial, but we put them to work in the context of an objective set of measures and insights that focus our attention and our efforts. ▪ Support for a consistent and sustainable “Evaluate – Decide – Do – Measure – Evaluate” cycle of operational and strategic innovation. Several principles guiding the development of a platform to enable the technology transition needed to support D3M. Ready to make better data-driven decisions? 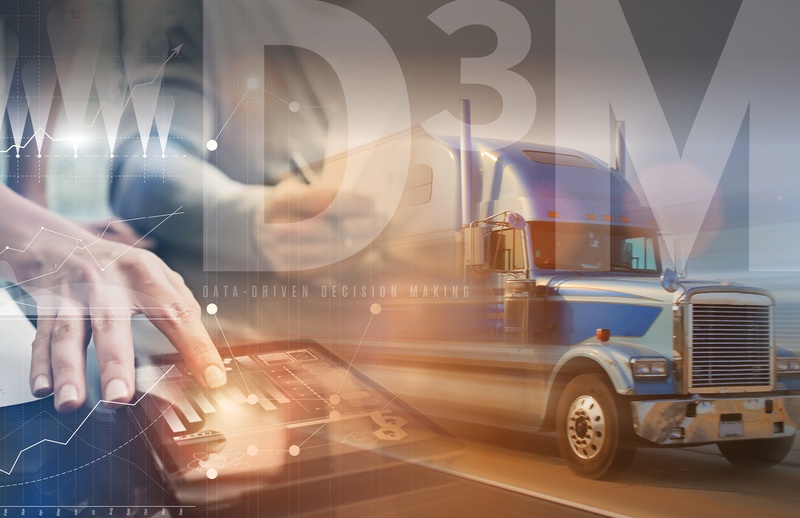 Download our FREE white paper, Big Data Driven Transportation Analytics and learn how big data can supplement your analytics and help your company make faster, more educated decisions.